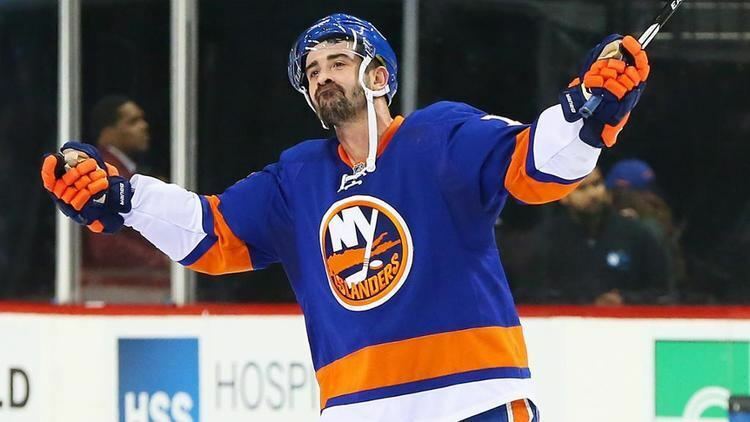 Cal Clutterbuck (born November 18, 1987) is a Canadian professional ice hockey right winger and an alternate captain for the New York Islanders of the National Hockey League (NHL). 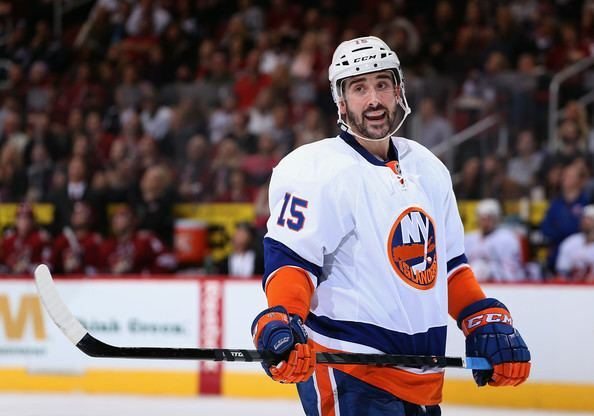 Clutterbuck was drafted 72nd overall by the Minnesota Wild in the 2006 NHL draft and played with the team for six seasons before being traded to the Islanders on June 30, 2013. 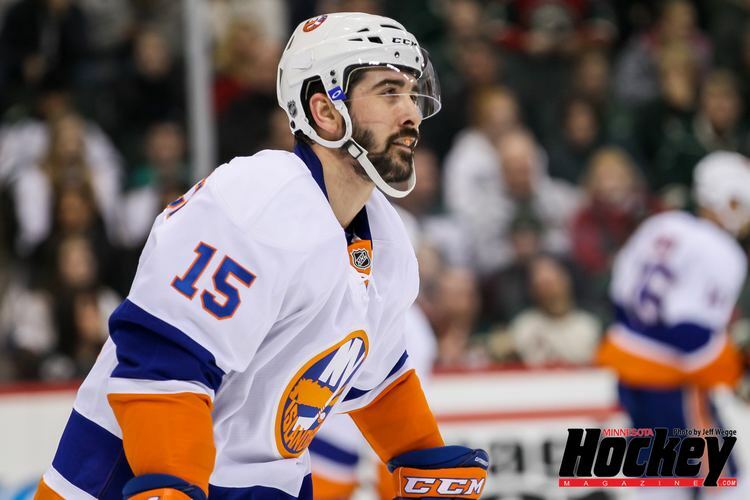 Clutterbuck grew up playing minor hockey for his hometown Welland Tigers in the Ontario Minor Hockey Association's (OMHA) South Central AAA League. After his Bantam season, he played one year with the Welland Cougars Jr.B. club of the OHA in 2002–03. 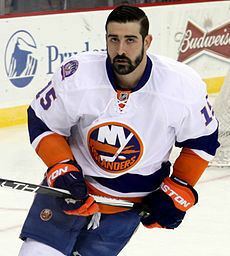 Clutterbuck played junior hockey in the Ontario Hockey League (OHL) with the Toronto St. Michael's Majors and later the Oshawa Generals. He was drafted by the Minnesota Wild 72nd overall in the third round of the 2006 NHL Entry Draft. He signed a three-year, entry-level contract with the Wild on May 31, 2007. He was assigned to the Wild's American Hockey League (AHL) affiliate, the Houston Aeros, to start the 2007–08 season. He was recalled to the Wild on October 23, 2007, after an injury to Pavol Demitra, and played his first NHL game on October 28, 2007 against the Colorado Avalanche. 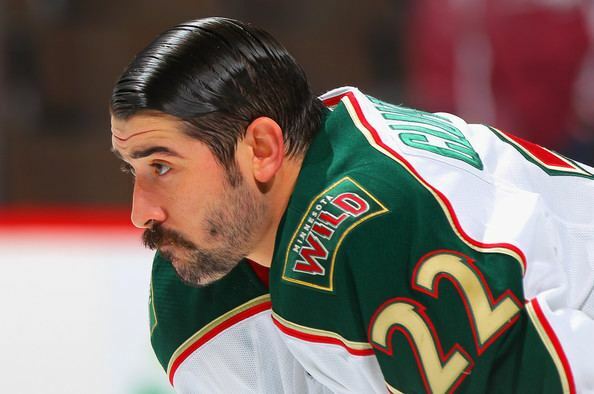 In the early months of the 2008–09 Aeros season, Clutterbuck was again called up to play with the Wild. He instantly became a fan favorite and did not return to the Aeros, playing in 78 games with the Wild. On November 24, 2008, he scored his first NHL goal against José Théodore of the Washington Capitals, scoring two goals in the game. 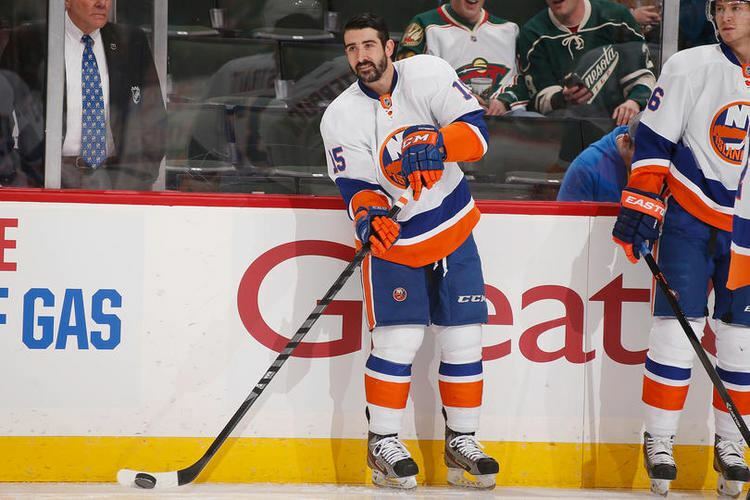 Clutterbuck broke the NHL record for hits in the 2008–09 season with 356, in a game against the New York Islanders. The previous record was 311, set by Dustin Brown of the Los Angeles Kings. The record was broken in 2012 by Matt Martin, a future teammate of his on the Islanders. 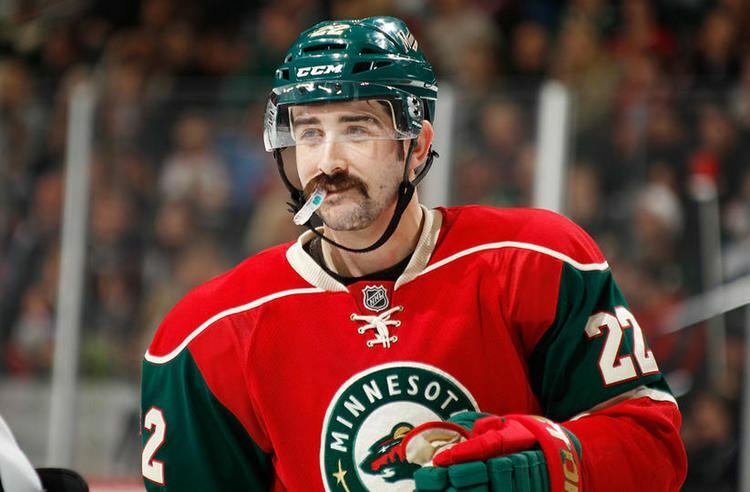 On June 30, 2013, during the 2013 NHL Entry Draft, Clutterbuck, as a restricted free agent, was traded from the Wild to the Islanders along with a third-round draft pick in exchange for forward Nino Niederreiter. 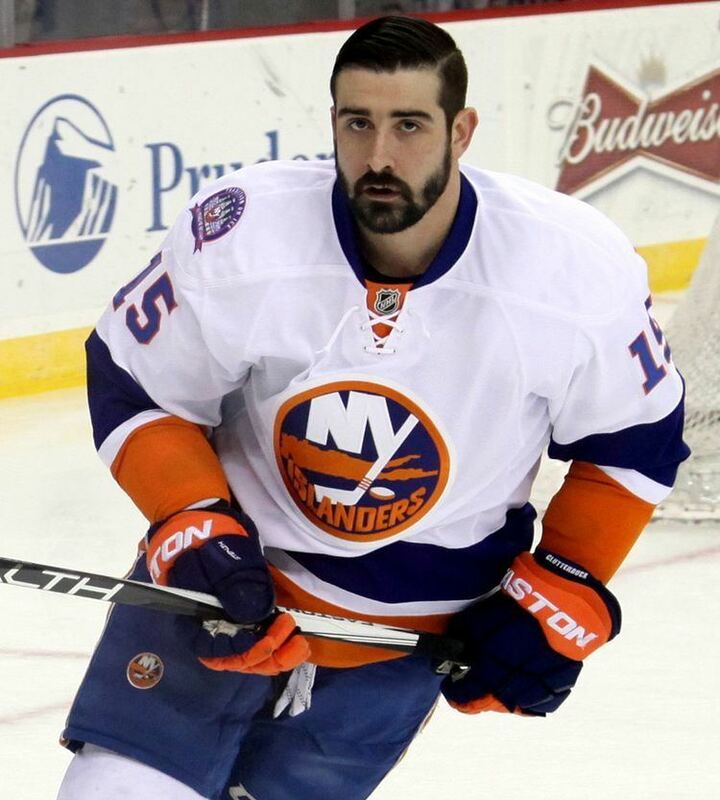 During the 2014–15 season, Clutterbuck was named as an alternate captain for the team after Kyle Okposo was sidelined with an eye injury. 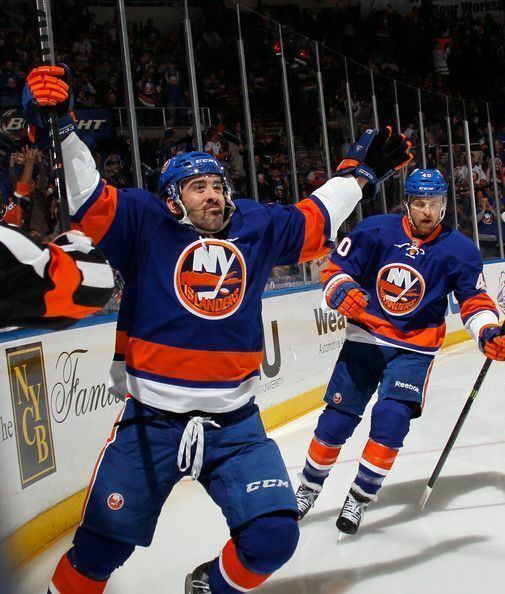 On April 25, 2015, Clutterbuck scored what would turn out to be the final goal in the history of the Nassau Veterans Memorial Coliseum with 0:53 remaining in the third period as the Islanders won Game 6 of their first-round playoff series against the Capitals, 3-1, to extend the series to a seventh game. The Islanders would eventually lose Game 7 to the Capitals two nights later. The following season, Clutterbuck's line, consisting of himself, Casey Cizikas, and Matt Martin was considered to be the best 4th line in the NHL by hockey analysts.